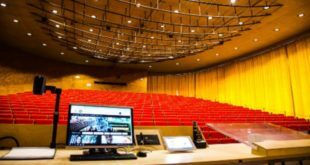 The Palm Desert-based McCallum Theatre has recently updated its audio system with the addition of a Soundcraft Vi6 digital mixing console at front-of-house. 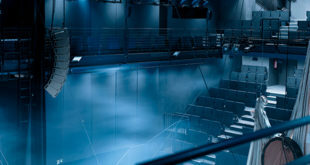 The McCallum Theatre, which was opened in 1988, provides a variety of events throughout the year. This includes entertainment and education activities which produces a variety of performing arts events which reflect the diversity of people, interests, and tastes of the Coachella Valley in California. 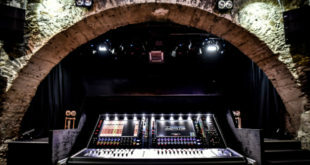 In order to keep the high level of audio quality at the venue the team at McCallum’s decided to replace their ageing Soundcraft Series 5 console with the Vi6. The Audio Director at the Theatre, James D. Anderson, immediately had the Vi6 in mind when the prospect of replacing the Series 5 came to a head. Anderson thus consulted with the Principal of the California-based company IPR Services, Bob Patrick, on the possibility of having it installed and integrated into the current set up. 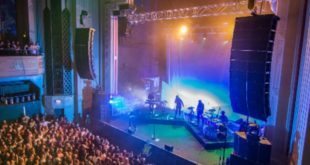 The system—which is composed entirely of HARMAN gear—includes JBL VERTEC VT4888 midsize line arrays and Crown I-Tech amplifiers. As part of the upgrade BSS’s Soundweb London signal processing was also included. The Chief Technical Officer at IPR, Dennis M. Kornegay, developed the London programming and user interface software. Patrick had originally installed the system and was thus the most obvious choice to undertake the upgrade. In order to help Anderson learn the new board he attended Soundcraft’s “Mixing with Professional” sessions which was conducted by Gert Sanner in Northridge, California. Overall, the experience Anderson had with HARMAN in regards to the McCallum Theatre project was everything he had hoped it would be.